Liz Carlisle (author of Lentil Underground) invited two participants on her Eat Real Festival panel The Wonders of Legumes! on Sunday, September 20, 11:30am-12:30pm to provide some favorite recipes using the products they produce. We hope that you will enjoy these refreshing treats from Hodo Soy Beanery and Timeless Natural Foods. As a food lover unable to find fresh organic soy products in the Bay Area, Minh Tsai left a finance career to found Hodo Soy Beanery in 2004. Hodo now supplies tofu to Chipotle nationwide and notable Bay Area restaurants including COI, Greens, Slanted Door, and State Bird Provisions. Minh Tsai of Hodo Soy Beanery. You can read and watch about Minh after his recipes. Here’s a quick, protein-packed salad. Boil stock or water with salt. Stir in quinoa. Bring back to boil. Cover, remove from heat and let sit 20 minutes. Fluff. 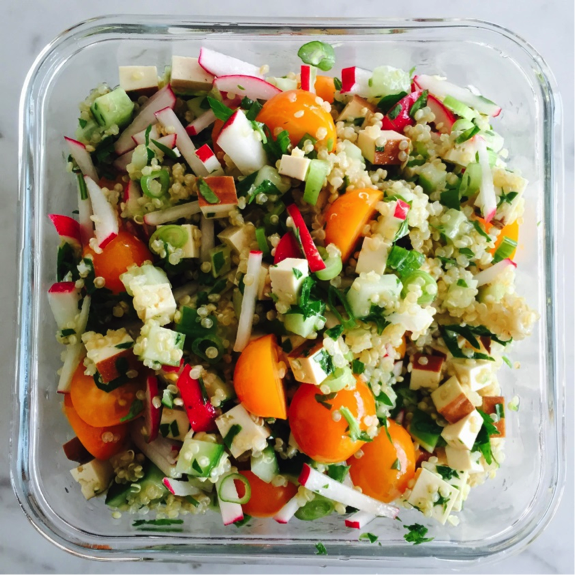 Toss quinoa with cucumbers, tomatoes, radish, herbs and Hodo Tofu. Drizzle in dressing and toss to mix. Let sit 10 mins. Serve chilled. 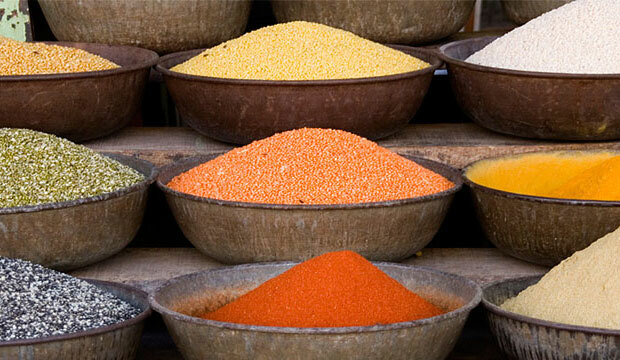 You can substitute the bulgur wheat with fluffed bulgur wheat or cooked beluga lentils. Yuba makes a great gluten-free “pasta”. This is probably the most nutrient-rich pasta dish on earth! Blanch kale and half the garlic in salted boiling water, 3 minutes. Transfer to a food processor and puree with remaining garlic, salt, pepper and EVOO. 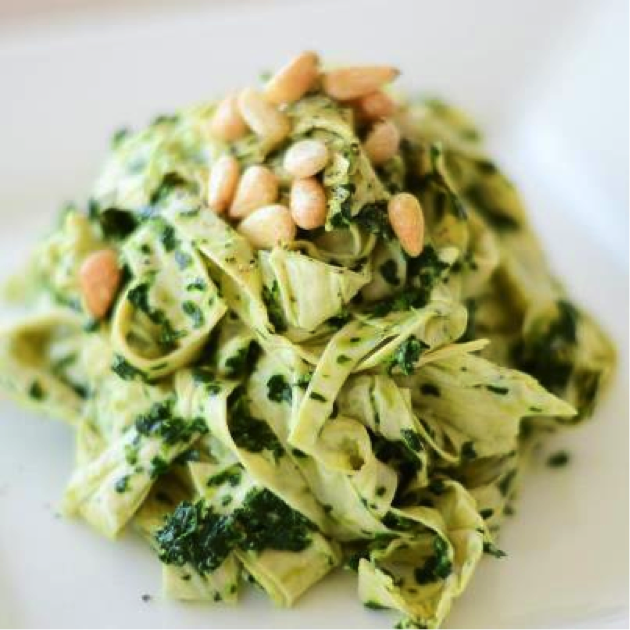 Toss pesto with yuba strips and pine nuts. You can substitute the kale with any dark leafy greens, like collards or rapini. Bon Appetite wrote about Hodo Soy here. CHOW takes a trip into the heady world of artisanal tofu. 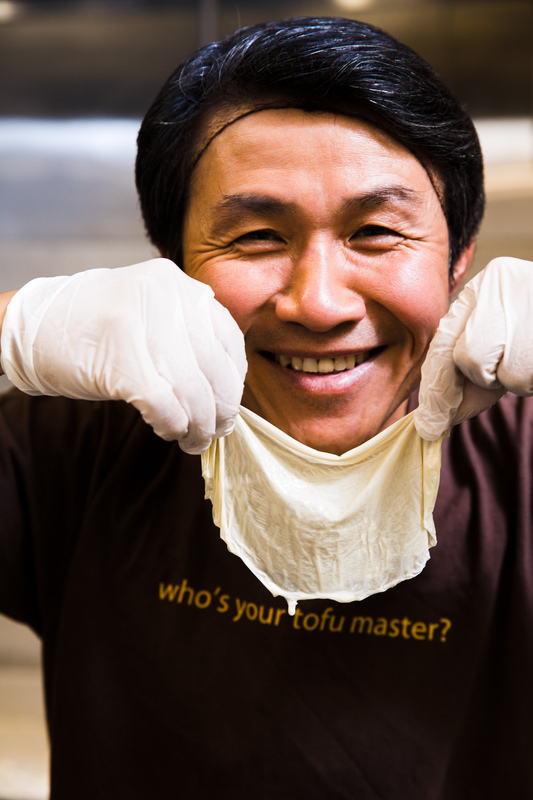 Minh Tsai and Dean Ku, co-founders of Hodo Soy Beanery, lead the way, showing us how tofu, yuba, and namu yuba are made in this video field trip. For more recipes and information about Hodo Soy Beanery, visit their web site. 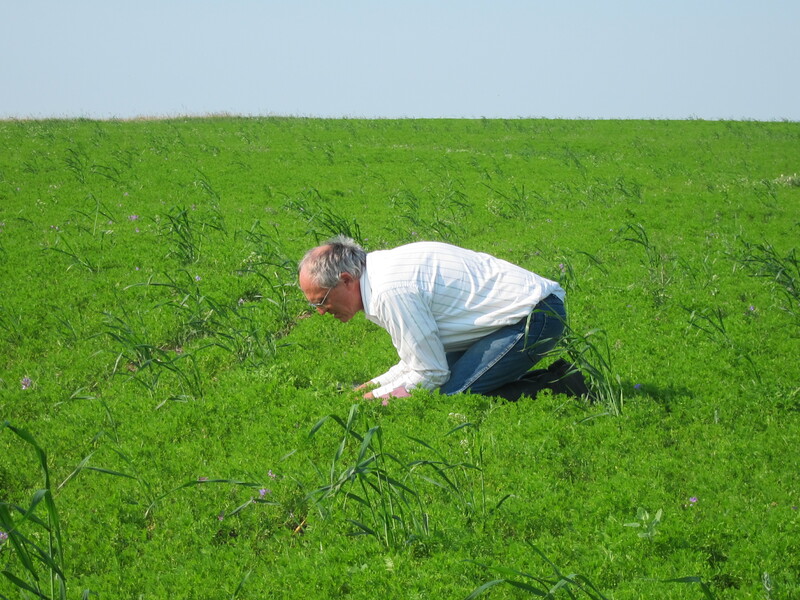 Timeless Natural Foods was created in 1987 when four organic farmers came together to grow a self-reseeding leguminous cover crop and to market the production from their own farms. David Oien, co-founder of Timeless will join Liz Carlisle, author of Lentil Underground at the Eat Real Festival on the panel The Wonders of Legumes! on Sunday, September 20, 11:30am-12:30pm. Timeless is located where the Great Plains of America unfold from the majestic Rocky Mountain Front into the renowned Golden Triangle, Montana’s most productive agricultural area. Here the cool, dry environment is ideal for producing the high quality, certified organic cereal grains, pulse crops, and edible seeds for which Timeless has become famous. The company helps support dozens of organic family farmers throughout Montana and the surrounding region with soil-building crop rotation options and new markets for their quality crops of gourmet legumes and heirloom grains using biologically diverse farm systems. 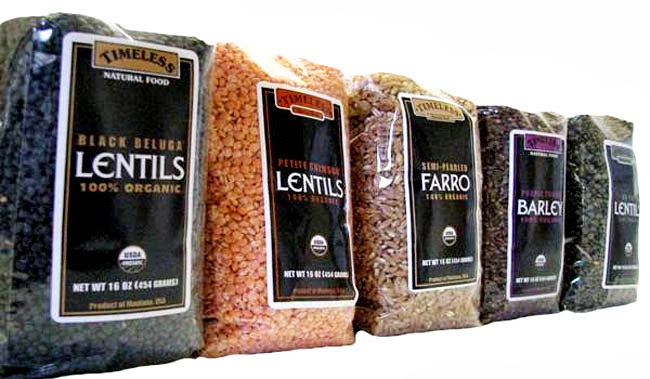 Under the brand Timeless Natural Food, this “lentil underground” has grown into a million dollar enterprise that sells to hundreds of independent natural foods stores, and a host of renowned restaurants. 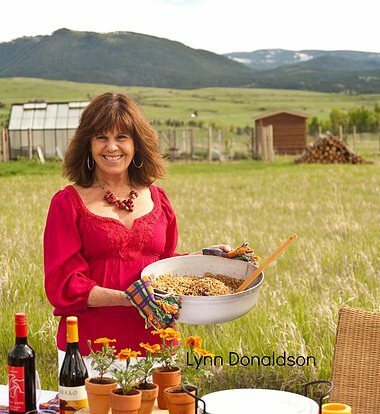 Chef Claudia-Galofre-Krevat of Claudia’s Mesa, Bozeman, Montana creates special recipes for Timeless and is sharing two of her favorites with EatDrinkFilms readers. 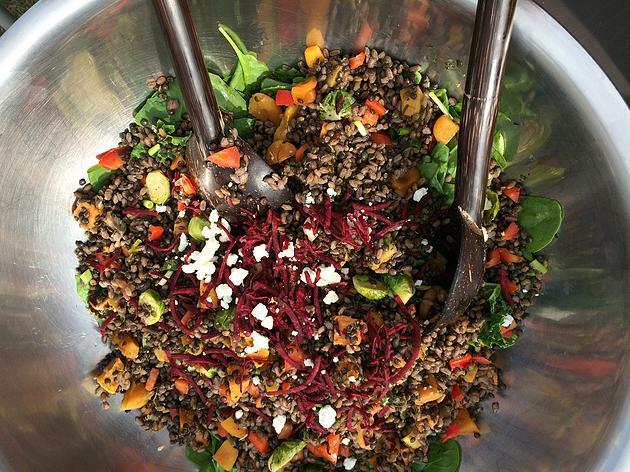 The combination of Timeless Black Beluga® Lentils and quinoa make for a nutritious, protein-rich salad. Serve it with grilled vegetables, fish or chicken. We like the texture of Beluga lentils and their resemblance to bulgur wheat. In medium sauce pan, bring 1 ½ Cups water to boil, add lentils Lower heat to medium. Cook for about 20 minutes, until they are tender. Drain if necessary. In a second medium sauce pan, bring 1 ½ Cups water to boil, add quinoa . Lower heat to medium. Cook for about 20 minutes. Drain if necessary. Lentils will have a softer bite than the quinoa. Turn from the pot into a large mixing bowl. Allow to cool. When the mixture is cool, add parsley, cilantro, mint, cucumbers, scallions, and tomatoes. In a small bowl mix lime juice, olive oil, and oregano. Add salt and pepper to taste. Refrigerate and allow flavors to blend for at least 2 hours. Stir briefly to mix thoroughly before serving. When it comes to sound nutrition, awesome flavors and fun-in-a-bowl, nothing could be better than this Farmer Bowl with a Saucy Citrus Cowgirl featuring beluga lentils and farro from Timeless Food and local veggies grown by neighboring farmers. These bowls are filled with plant protein and nurture our bodies and souls. They are served salad style over a bed of spinach tossed in her saucy cowgirl citrus vinaigrette from her retail line. Makes a big salad bowl that serves 25-30 for a party. Heat oven to 375. Place yams and Brussels Sprouts in a bowl and combine with oil. Line up 2 cookie sheets with parchment paper and add veggies. Cook until al dente, about 30 minutes. In a large pot, at oil; saute onions and garlic. Add 2 TBSP Cowgirl dressing and blend. Add lentil, farro, and saute. Add water. 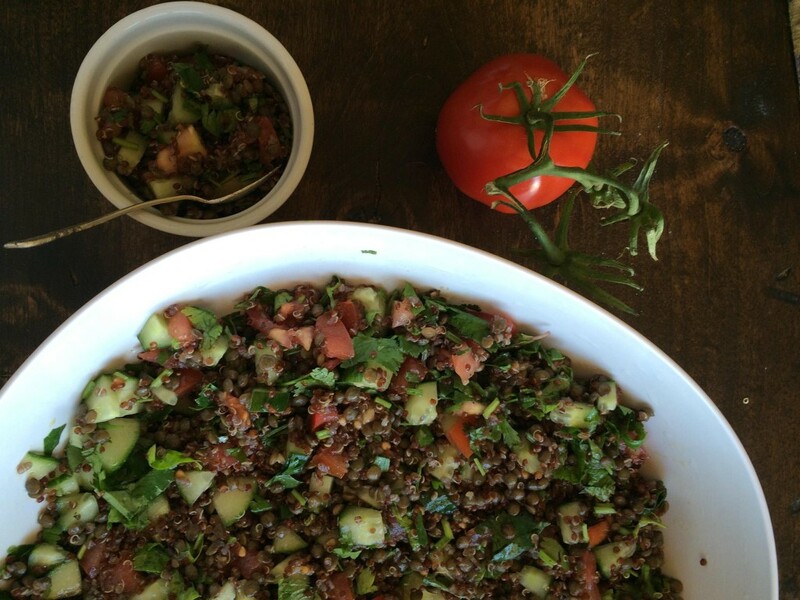 While farro/lentil cooks, make salad dressing by simply combining oil, vinegar, Cowgirl, jam and salt in a bowl. When lentil/farro is ready, remove from pot and allow to cool off. To assemble, place cooled lentil, farro, yams, Brussels sprouts, red pepper, scallions, apricots, in a large bowl and combine. In a separate bowl, add the baby spinach and dressing; toss. Visit Chef Claudia’s lively website, Claudia’s Mesa. Watch and listen to David Oien speak at the Organic Trade 2015 Conference. The healthiest food comes from a clean environment with biologically active soils, and from land that is free from agricultural chemicals and synthetic fertilizers. We also use minimal packaging and biodegradable materials to reduce post-consumer waste. Our crops are produced by certified organic family farmers who care about their land and crops. We support these farmers with soil-building crop alternatives, fair prices, and new market opportunities. Timeless annually participates in the nationally-acclaimed “Ag Month” program at Meadowlark School, promoting sustainable and organic agriculture to 4th graders and their parents. At Timeless, we pride ourselves in providing customers with the highest quality products – high in natural nutrition, GMO-free, and Certified Organic and Kosher. This entry was posted in Eat, Eat: Recipes and tagged Chef Claudia-Galofre-Krevat, Hodo Soy Beanery, lentils, Minh Tsai, recipes, Timeless Natural Food, tofu. Bookmark the permalink.